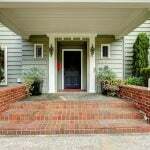 A person’s home is their castle, and it’s important to keep that castle clean and organized. When the home is organized, it’s easier to find objects and to get things done, as there’s less time spent hunting around for items. It’s easier to enjoy a home when it’s orderly, as there’s less stress about the mess. Organization means different things to different people. Some might find that storing items out of sight and out of mind helps them stay organized, while others prefer to get rid of as much as possible. 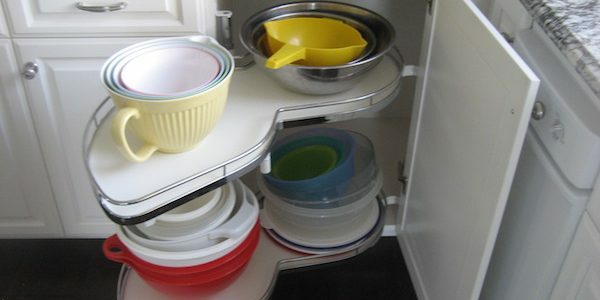 Conquering Kitchen Clutter Takes Self-Discipline: An article from a food and nutrition specialist offers advice on keeping a clutter-free kitchen. The article also reviews the benefits of having a clean kitchen. 24 Smart Organizing Ideas for Your Kitchen: A slideshow features 24 tips and suggestions for organizing every area of the kitchen, from the pots and pans to textiles. How to Keep Your Pantry Freshly Stocked: Martha Stewart offers tips on how to store pantry staples, such as flour and spices, so that they last as long as possible. 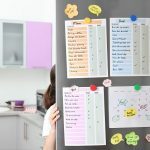 How to Clean a Refrigerator in 15 Minutes Flat: This page features a list of tasks people can do to keep their refrigerators clean in one minute, two minutes, five minutes, and so on. Organizing Your Recipes Online: Some recipe organization apps allow people to index and organize their cookbook collection while others help people transcribe handwritten recipes. Three Ways to Make the Most of Your Space: Directions for making a room function come from organizing expert Pete Walsh. His chart helps people decide how a room will be used and what parts of the room will be used for what purpose. Organize Your Living Room: This page offers basic tips for living room organization, such as keeping collections under control and making an effort to tidy up every day. 10 Creative Ways to Store DVDS: The Milwaukee Journal Sentinel has 10 ideas for storing DVDs or CDs in the living room so that the cases and disks aren’t an eyesore. Hide Living Room Clutter: Yankee Magazine offers a simple tip for stashing away clutter when guests come over: People can hang a shoe organizer over a closet door and use it to hide small objects, such as remotes and toys, temporarily. 10 Clever Ways to Organize Toys: This site provides 10 ideas for organizing a child’s toys, from corralling small toys into zip-top pencil pouches to sorting Lego blocks by color in a chest of drawers. Need to find a pro for your home organization? 10 Tips for Organizing Your Closets: CNN provides simple tips to help people keep their closets clear and clutter-free, such as getting rid of ill-fitting clothing, taking knit garments out of the closet and folding them, and swapping clothing out of the closet on a seasonal basis. 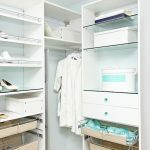 Hands-On Reviews of Closet Organizers: Good Housekeeping reviews several different closet systems, including pros and cons of each system and the average cost. 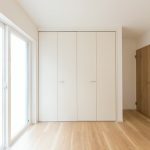 Triple Your Closet Space: Tips for making use of unused closet space to maximize bedroom storage options are found on this page. Eight Great Tips to Organize Kids’ Rooms: This page offers tips for parents to help get their child’s room in order. The tips include ways to get children involved in the organizing process. How to Organize Your Bedroom: House Beautiful has four tips for organizing a bedroom, including closet storage advice, picking useful furniture, and storing seasonal items. No-Fuss Bathroom Organizing: Check out these simple ways to get a bathroom in order, such as making use of closets, choosing storage furniture, and using shower organizers. Easy Organization for Linen and Medicine Cabinets: A slide show gives ways to get clutter in the bathroom closet and medicine cabinet under control. Organize Your Medicine Cabinet: Tidy up your medicine cabinet so that people can get what they need quickly. The tips include ways to keep the medicine cabinet safe, such as storing things up high and discarding expired products. 24 Life-Changing Ways to Store Your Beauty Products: Think outside the box to store perfume and cosmetics, such as on a cake stand, on a spice rack, or in a pencil case. Eight Easy Ideas to Organize Your Linen Closet: Try these easy ideas to help people keep their linen closets in order, such as using small wire baskets under the shelves and collecting toiletries in trays. General Papers: Magazines, Junk Mail, Coupons and Other Papers: Examine ways to manage all of the paper clutter that comes into the home or living room, from junk mail to magazines. Organization Advice for the Home Office: The Washington Post offers advice for how to tame clutter in your home office. Organizing Household Records (PDF): This article offers suggestions for organizing the home office and for keeping important papers in order. It offers recommendations for collecting and sorting essential documents. Organization Tips: A list of tips can help people keep their desks clear and clutter-free and help them sort through the mail and other files. Light Your Office Properly to Avoid Fatigue, Improve Productivity: CBS discusses the importance of choosing proper lighting to get the most out of an office space. This article includes tips for choosing light and arranging furniture to make the most of the light. 12 Tips for Supremely Organized Basement Storage: Try these ideas for keeping the basement organized, including designing a basement around the HVAC and plumbing systems and taking the environmental conditions of the basement into account when choosing what to store there. 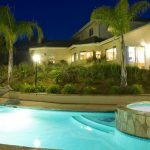 Down in the Depths: Organizing Your Basement: This article highlights ways to decide what to keep and what to toss when organizing a basement. It introduces the “WASTE” test to help people decide what to keep. How to Organize Attics and Basements: Learn more about how to keep your stored items organized. Purge and Organize Your Self-Storage Unit: An article outlines ways to keep a separate storage unit from becoming too cluttered. 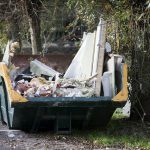 It offers tips on ways to choose what goes in the unit and what is better off being donated or trashed. How to Organize Your Storage Spaces: Find out ways a person can sort through items and decide what to do with them. This page offers tips for choosing the best way to store items that you decide to keep. 28 Brilliant Garage Organization Ideas: Learn some clever ways to organize a garage, such as turning a paper towel holder into a holder for garbage bags. Read This Before You Organize Your Garage: This Old House highlights the importance of clearing out a garage so that a person can actually use it to store a car. 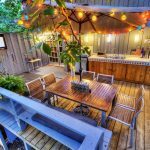 This article offers step-by-step advice for cleaning out the space, including setting aside enough time for the project. Ideas for Garage Organization: Better Homes and Gardens has ideas for organizing the garage, such as creating a work station in the space that includes a tool chest and potting area. Pegboard: Still a Classic Storage Solution Today: Bob Vila’s site describes the use of a pegboard for organizing from the 1950s until the present day. This page highlights the different varieties of pegboards available for storage in the garage and elsewhere. Garage Storage Ideas: Instant Mudroom: This article offers tips on ways a person can turn a part of the garage into a mudroom on a budget. If you’re unable to fit your lesser-used items in the house, consider storage units. Discover how much self and portable storage units cost.